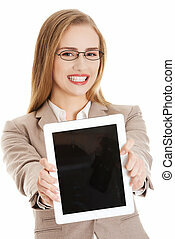 Beautiful eyes business woman portrait with tablet. 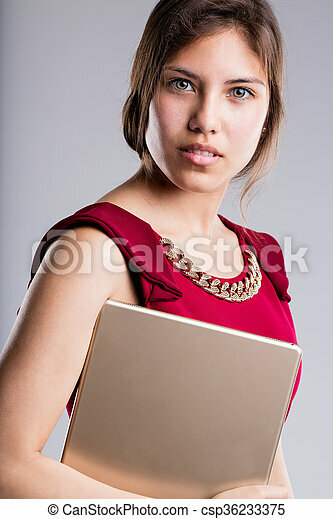 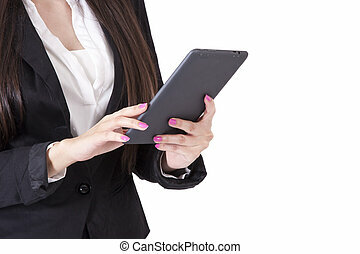 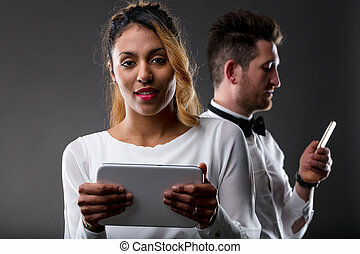 Intense look of a beautiful business woman holding a digital tablet pro and she has extraordinary beautiful eyes. 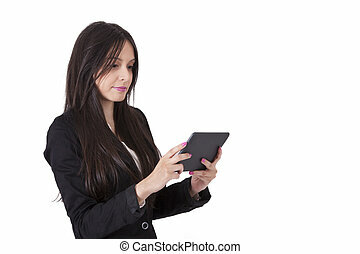 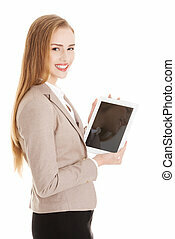 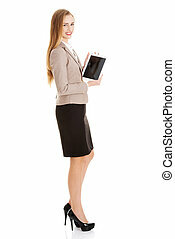 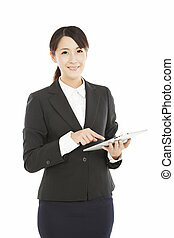 Beautiful caucasian business woman with tablet. Isolated on white.